We’ve had a long and fruitful relationship with web geniuses NickXD—now Gameflow Interactive—so we thought we’d share a couple of other sites we’ve designed for them. See also American Shakespeare Center and Town & Country. The top and bottom halves of the home page for 54 Below. 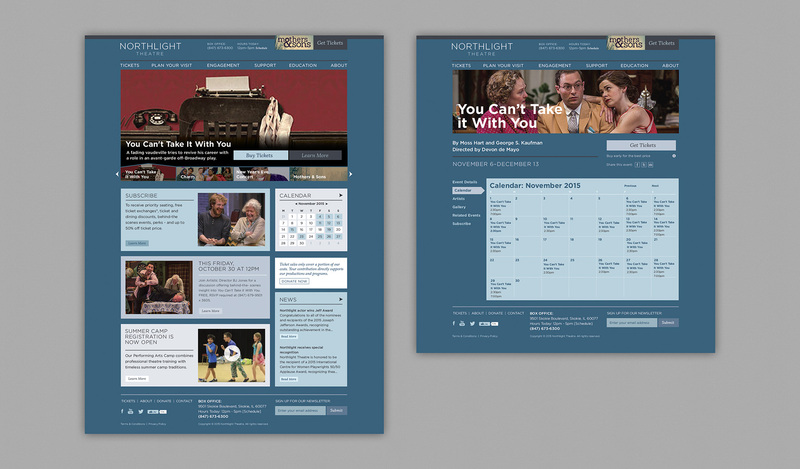 The home page and a calendar for Northlight.